What a rare find! 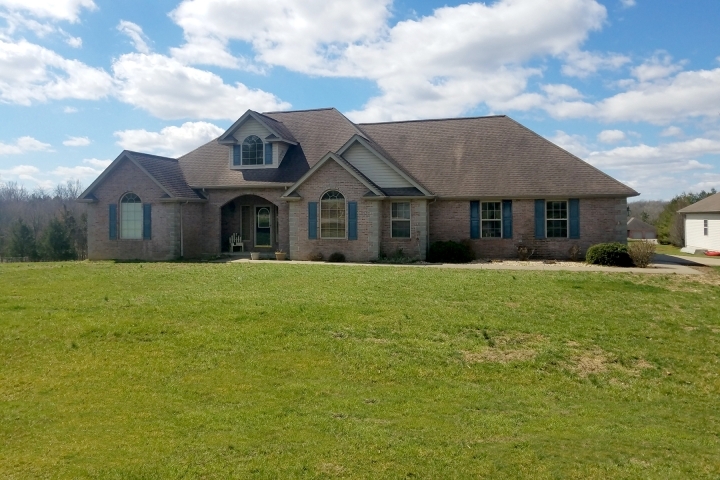 Situated on 7.28 acres and located outside of the city limits is this 3,600 +/- sq foot custom built home that joins Perry County Community Lake. This stunning home offers 3 bedrooms on the main floor, a large family room with vaulted ceiling and a formal dining room. The kitchen is large enough that the whole family can gather around to cook. The second level of the home offers a bonus space that can have many uses to include a theater space with a screen already in place. This bonus space also offers a half bath. The lower level offers a family room, full bathroom and an additional room that is currently being used as sleeping quarters. And if that isn't enough, make your way out onto the covered back deck and enjoy the water view. The home also offers a 32x24 detached shop, lawn irrigation system and two private wells.